Barbara L. Richard is a graduate of the University of Florida College of Law. Barbara has been practicing since 1995 and is Board Certified by the Florida Bar in Workers’ Compensation. She has served as a judicial clerk for the Judge of Compensation Claims in the Daytona Beach District, and is a member of the Florida Workers’ Advocates, an association that actively advocates for the rights of injured workers in Florida. Barbara is also a member of the Marion County Bar Association, the Florida Bar Association, the American Bar Association, and she has been admitted to practice in the U.S. District Court, Northern and Middle Districts of Florida. 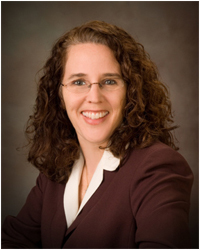 Barbara is a practicing attorney in the area of Workers’ Compensation.